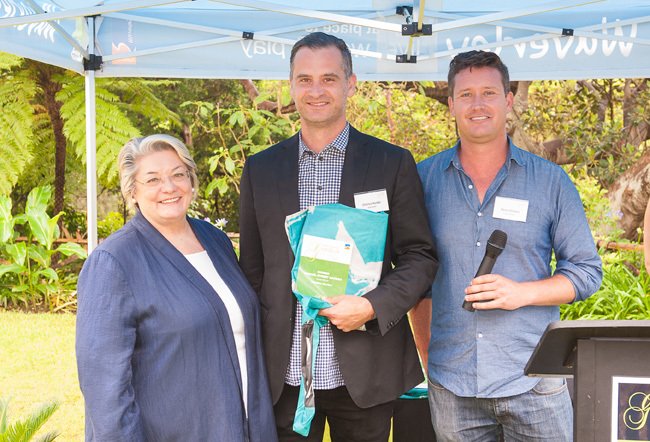 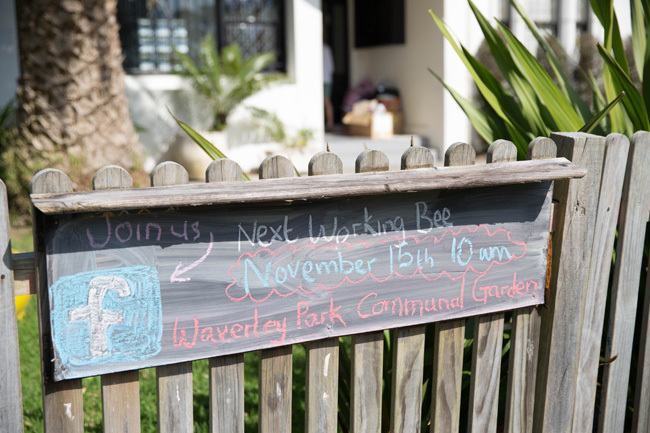 Congratulations to all the winners of the triennial Waverley Council Garden Awards 2015 who were named at the awards ceremony at Bronte House on Saturday, 14 November. 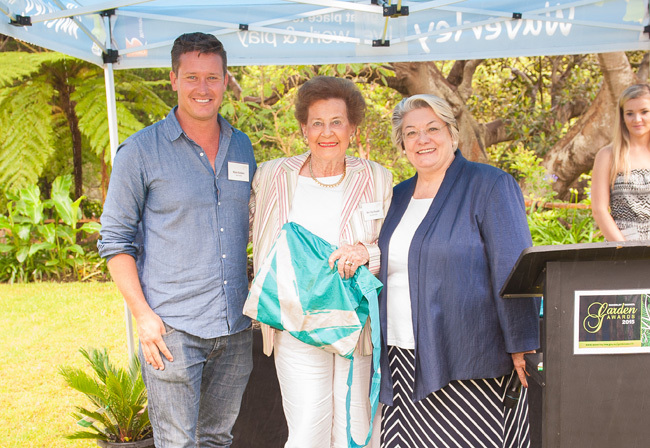 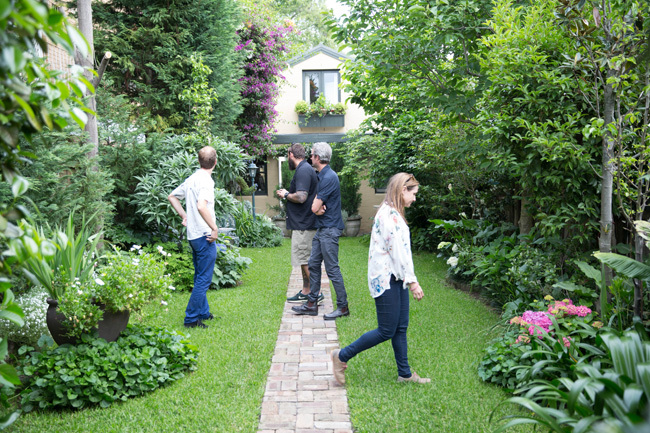 We thank guest judge and presenter, former Bronte House head gardener, Myles Baldwin, who sympathised with fellow Waverley gardeners that it’s difficult being a gardener in Waverley. 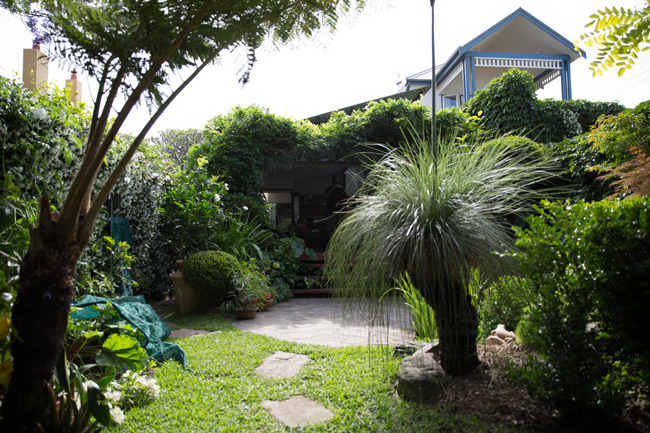 Our proximity to the sea and the area’s sandy soil make for a challenging location to grow plants, he said. 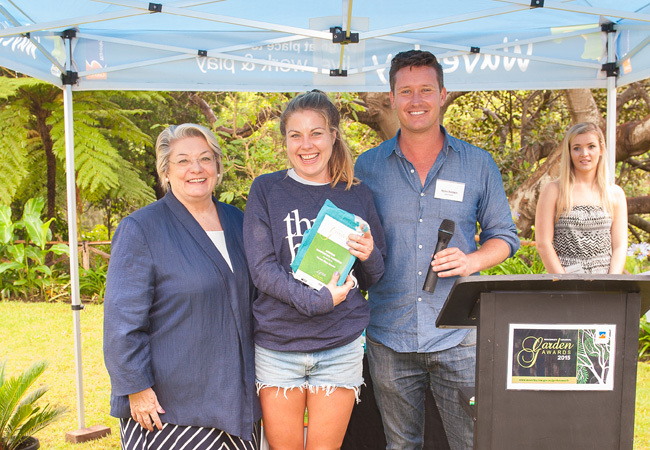 “If there’s one bit of advice I would give it’s this: compost, compost, compost.” It was a message strongly echoed by Waverley Mayor, Cr Sally Betts, as she presented the triannual Garden Awards. 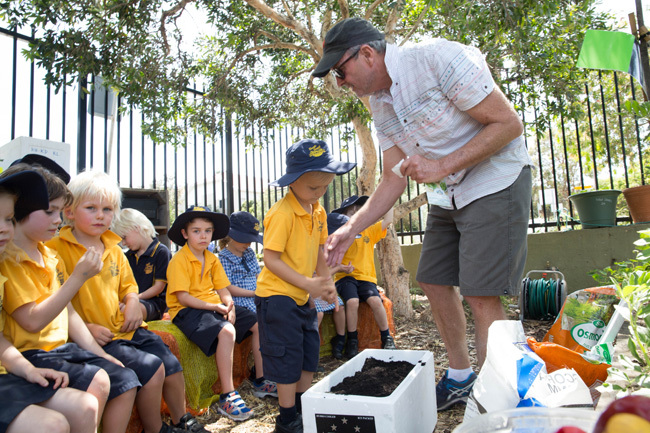 The level of entries was particularly high this year with a fantastic diversity and creativity demonstrated among the gardens - from school gardening projects, private gardens, groups of residents growing vegetables together and gardens designed in small and unique spaces. 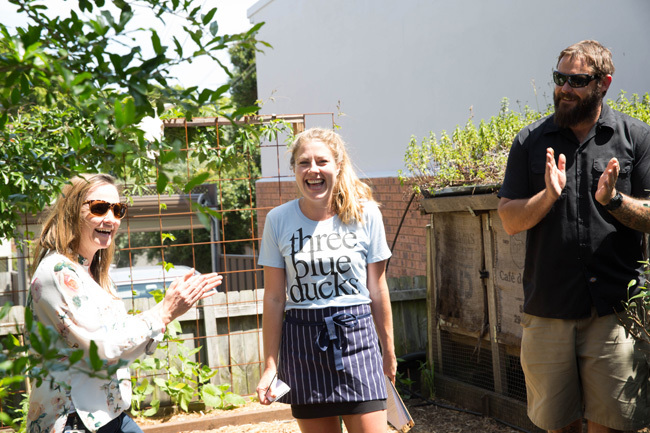 These awards would not be possible without the generous support of our sponsors – Urban Growers, William Dangar Group, Eco Gardens Bondi, Honey Suckle Gardens, Bondi Junction, GrowSpace, Graham Ross’ Garden Clinic and, Bunnings Randwick and Alexandria , and our Media partners, the Wentworth Courier and the Outdoor Cooperative. 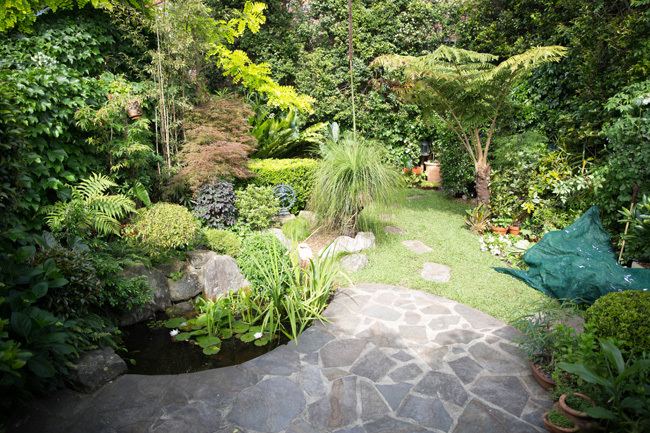 My Beautiful Gardens Award category was open to home gardeners, garden designers and landscapers - whatever style of garden, this award was for garden lovers at large. 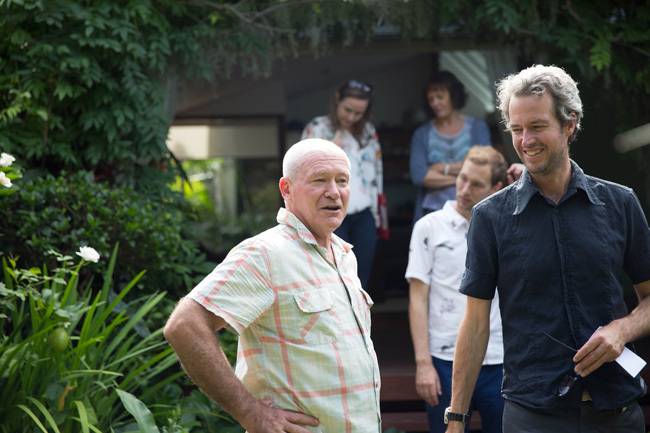 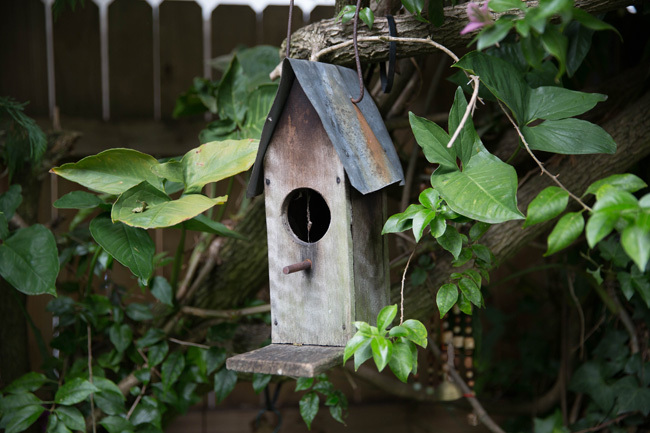 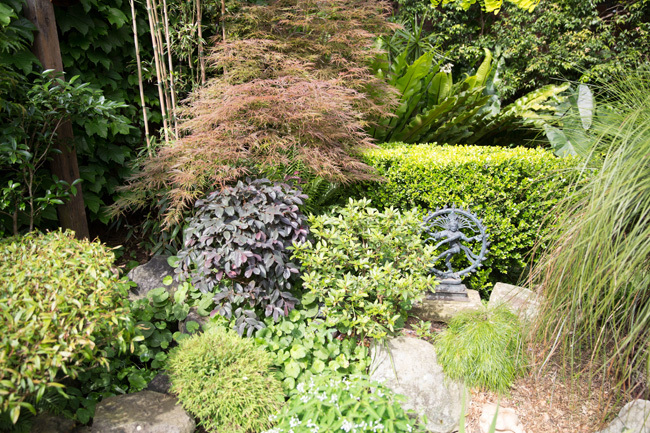 Paul’s beautiful garden benefits from his fantastic gardening and sustainability knowledge, along with passion and a willingness to work with nature and not enforce his will on his very diverse and plentiful range of plants. 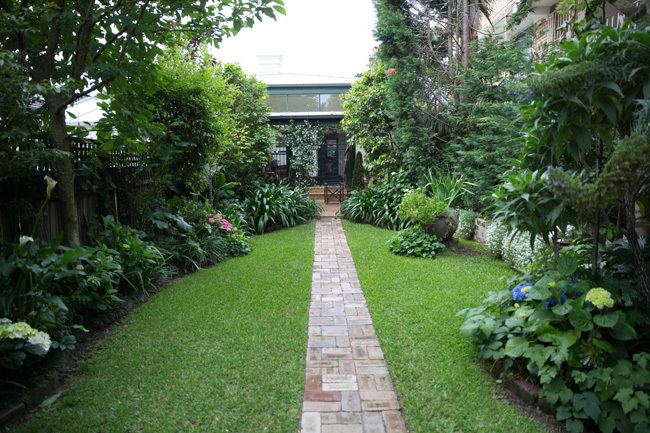 This garden is very pretty, as well as functional with vegetables living alongside native and ornamentals – it’s also incredibly private despite being overlooked by 8 separate residences. 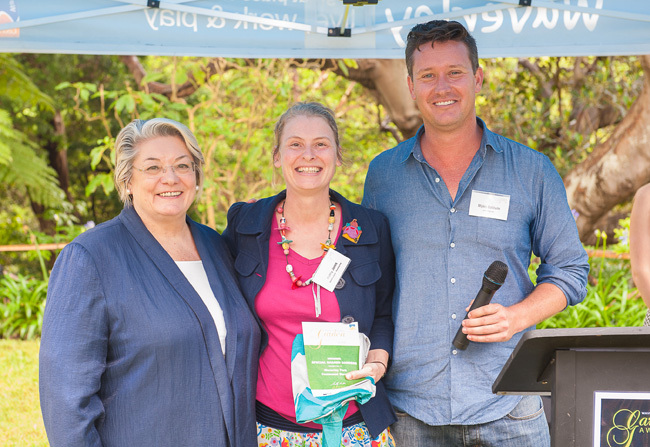 Paul was our 2012, Garden Award winner – but notes that “it has not been the same garden two years running, and this dynamic collaboration with nature is a great part of the garden’s delight” Paul received a plant from Eco Garden Bondi, a Honey Suckle Nursery Voucher and membership to Graham Ross’ Garden Clinic. 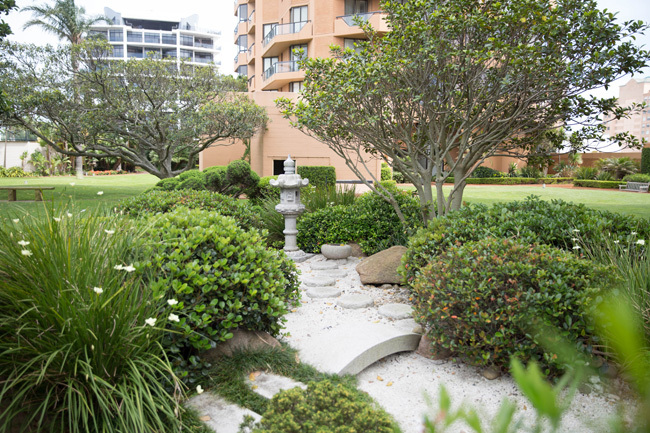 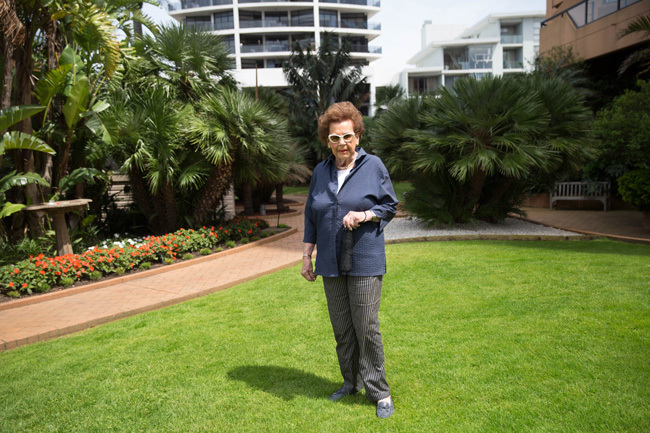 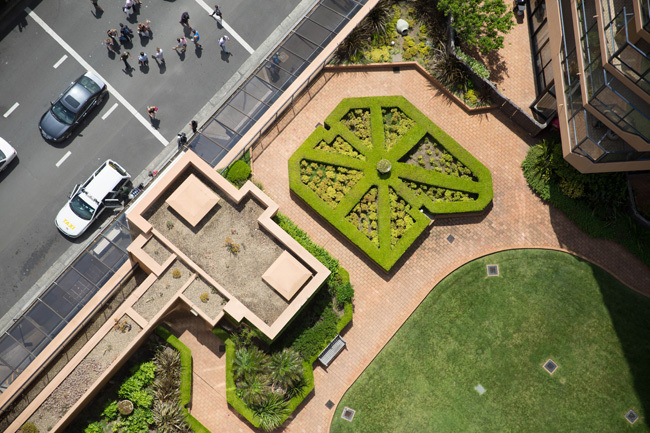 2nd - Mrs Yula Russell’s Roof Top Garden - Eastgate Towers, Bondi Junction. 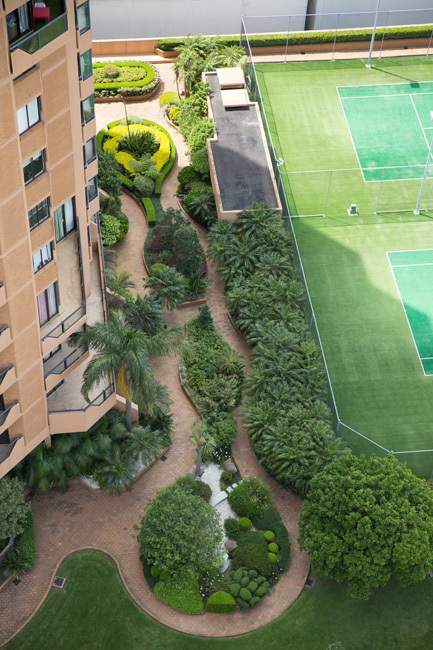 Received the William Dangar Group voucher. 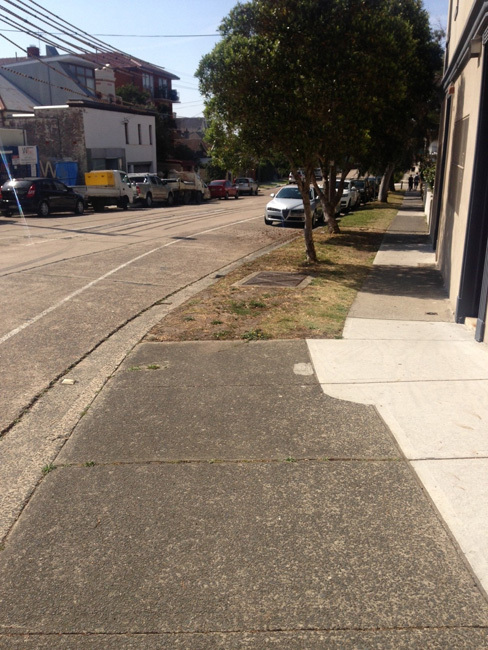 3rd - Louise Ledingham of Old South Head Road, Bondi Junction. 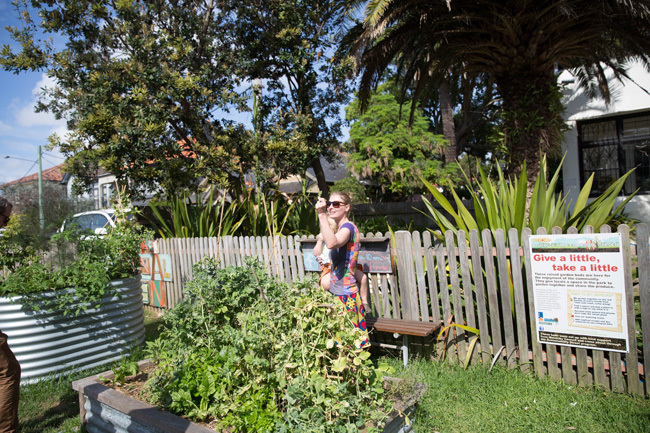 Who received Honey Suckle Gardens, Bondi Junction and Graham Ross’ Garden Clinic vouchers. 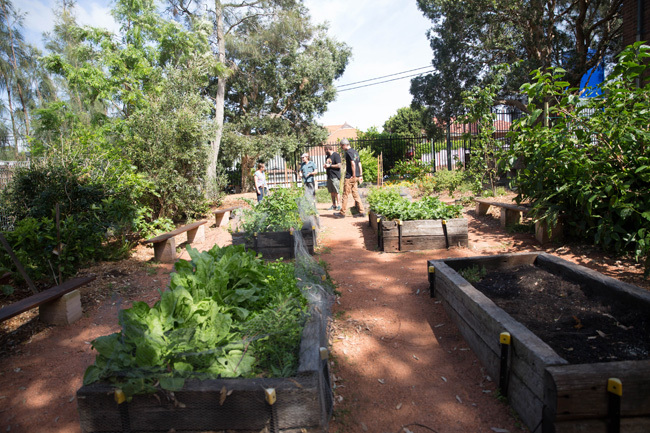 Honourable Mentions: Anthony Bosch, head gardener at St Catherine’s School, Jennifer Keir of Waverley and Jinan Budge of Bondi Junction. 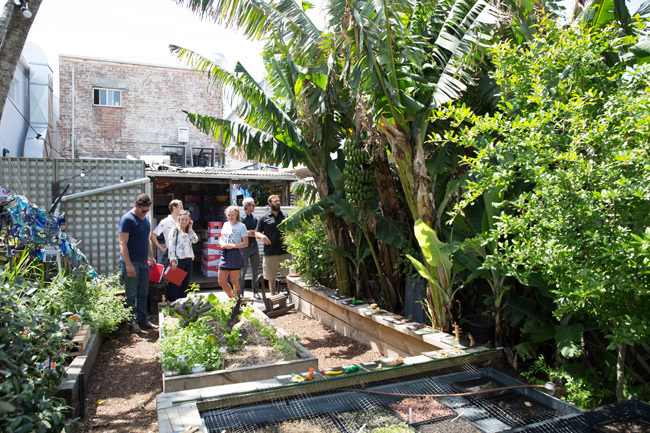 These winners have utilised new methods of gardening, and /or have overcome challenging spaces by using creativity and sustainable ideas. 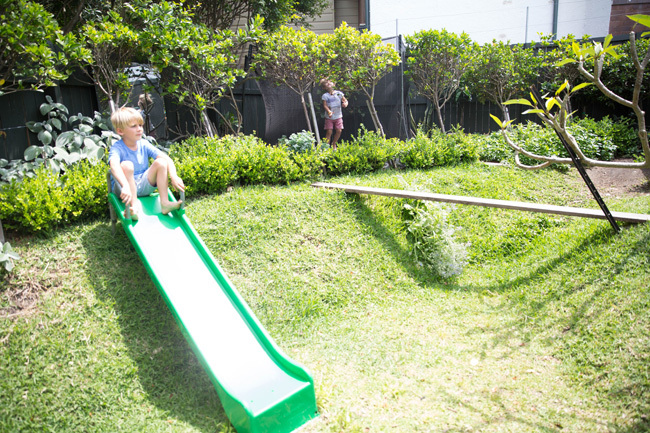 Patrick, a Landscape Architect creatively approached the design of this small challenging space with mound hills for seating and support for a slippery slide , a hidden in-ground trampoline, “beach found” branches as a clothes line’, a mannequin’s legs as the tomato’s stakes, chickens and coop, mixed in with a great choice of ornamental plants, herbs and vegies. 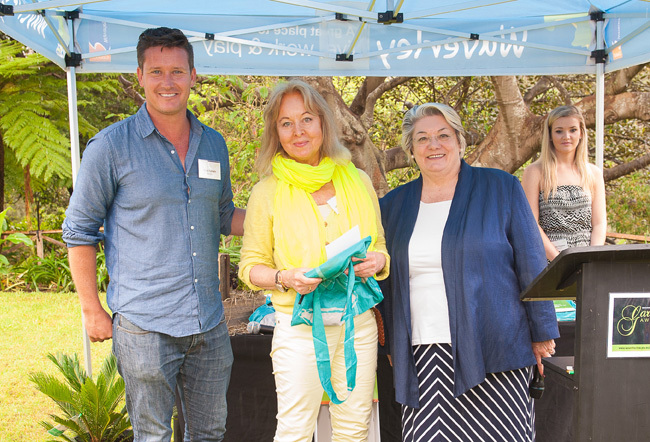 They received a voucher from Randwick Native Nursery and annual memberships to Graham Ross’ Garden Clinic. 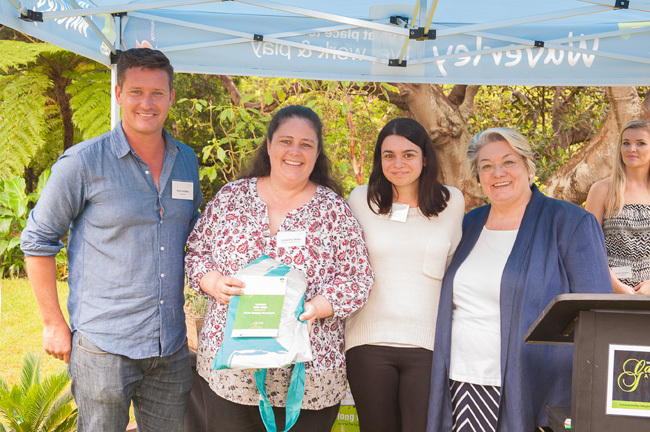 accepted by Manager Zlata Brajkovich was awarded a Green Harvest voucher. 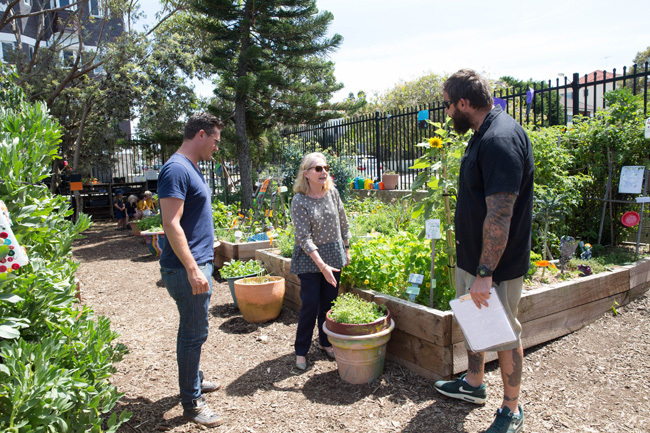 Special Street and Shared Gardens celebrates gardens located in public and/or shared spaces, and includes quality individual Council approved street side gardens, community gardens, any collaborative style garden. 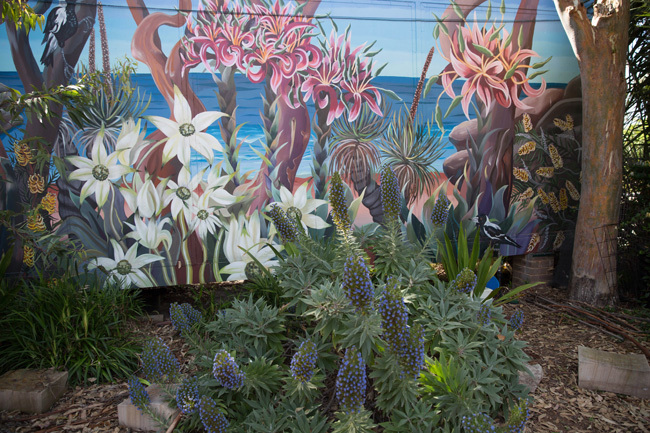 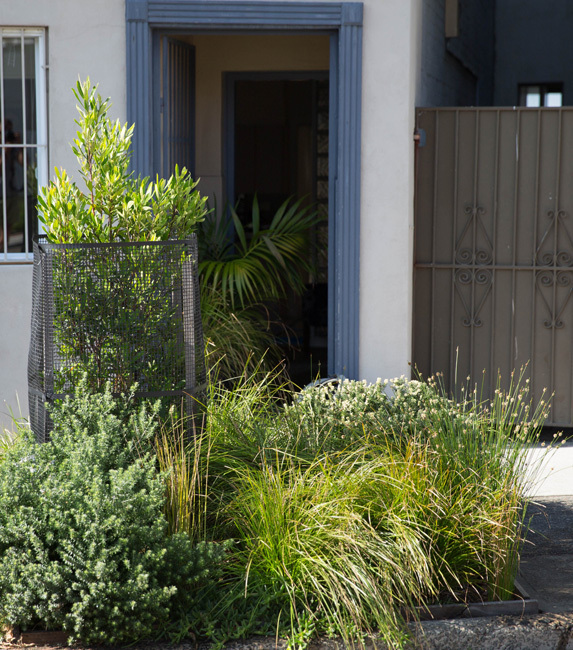 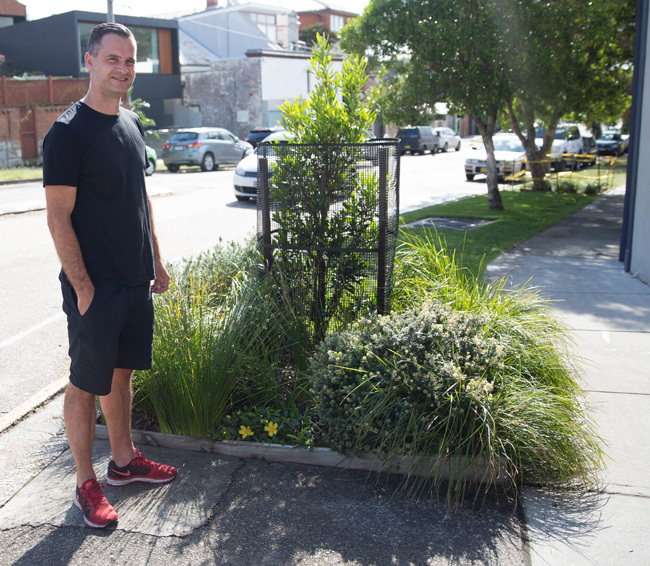 For over 2 years, Charles has transformed this disused tram stop, from an ugly cement corner into “Charlie’s Corner,” a native calming green space, with great native plant diversity, enjoyed by many. 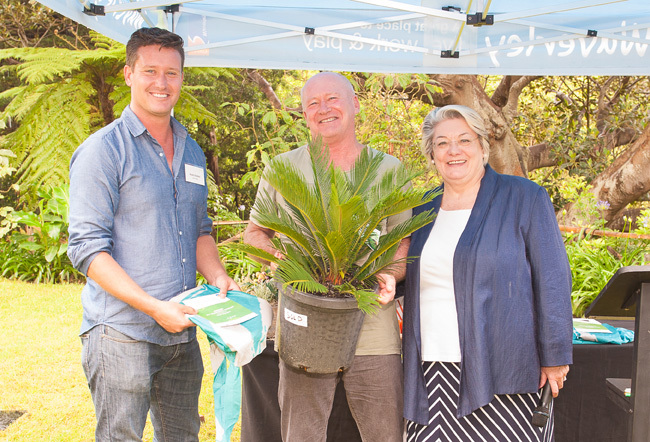 He received native plants and a voucher from the Randwick Native Nursery. 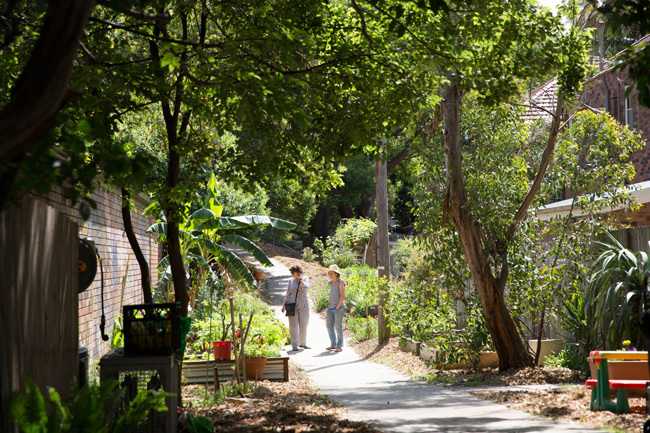 1st - Bronte Community Garden, Langley Laneway off Dickson Street, Bronte. 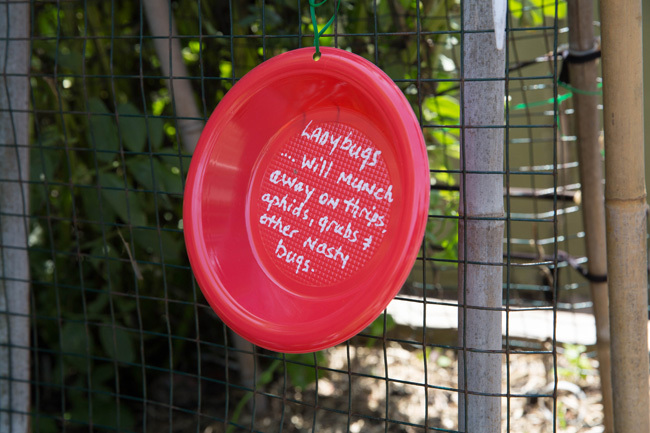 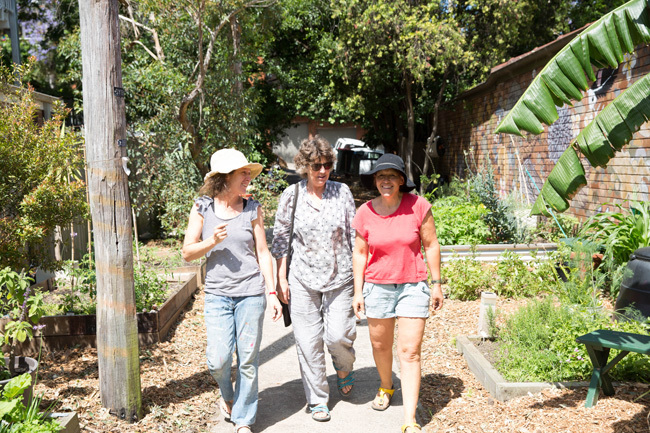 For more than 4 years a group of 20 enthusiastic gardening residents (including children) have established a central point of focus for this community to gather, to grow food and to educate their children. 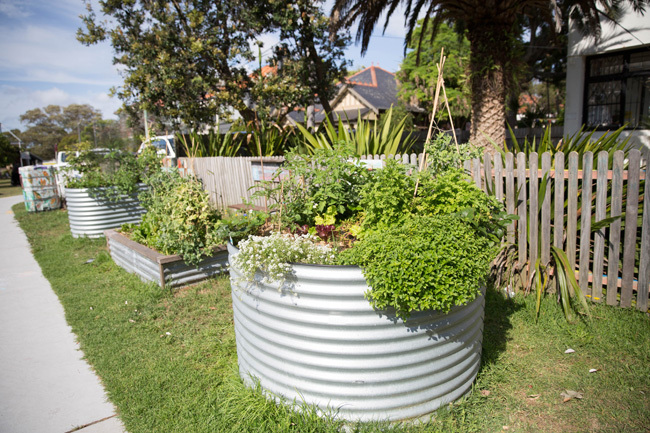 This garden has 10 vegetable beds, bananas, a mini ‘orchard’, and a flower garden to attract bees and a native bush area. 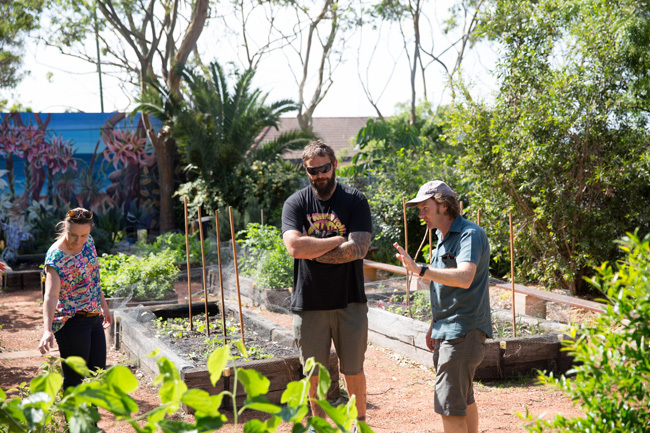 Awarded a voucher from Urban Growers. 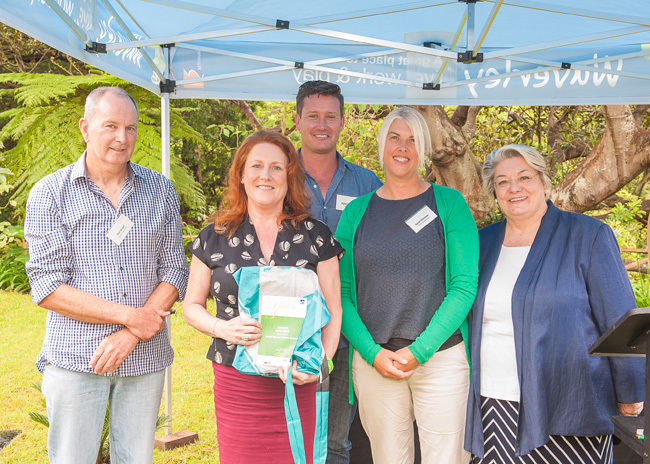 2nd - Waverley Park Communal Garden Accepted by Penny Jones and Sarah van Erp who received a voucher from Bunnings Warehouse. 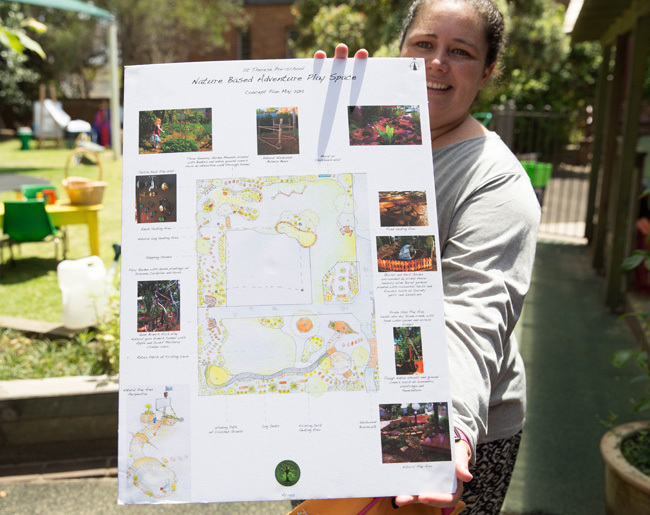 This award, was for individuals and groups under the age of 18 years, including any type of garden within childcare centres, preschool and all local primary and high schools. 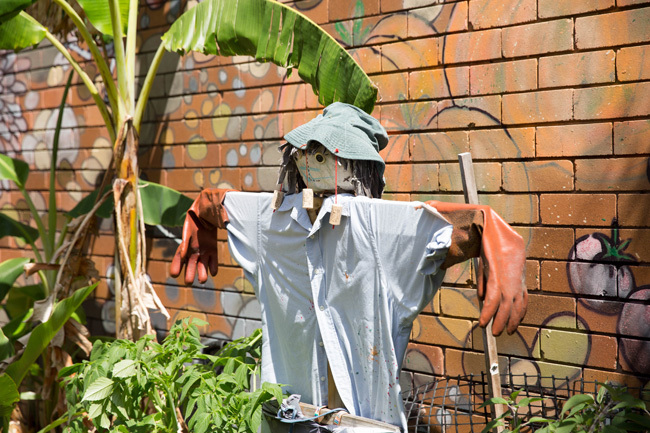 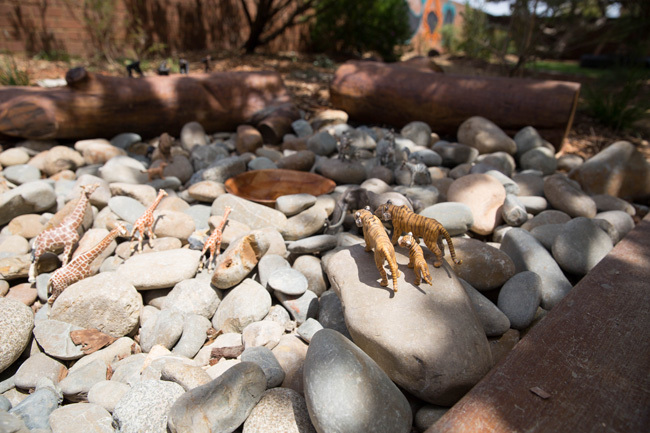 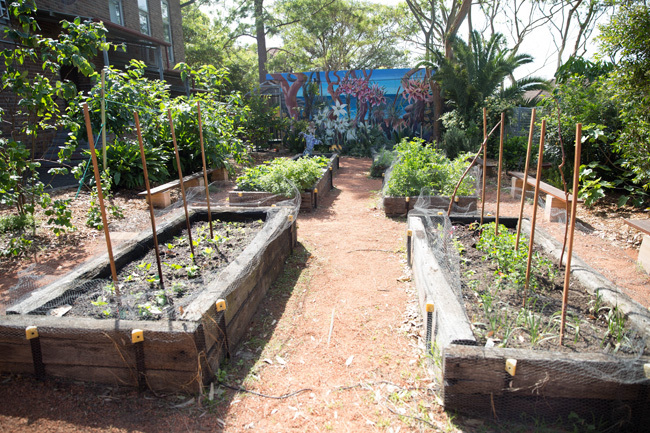 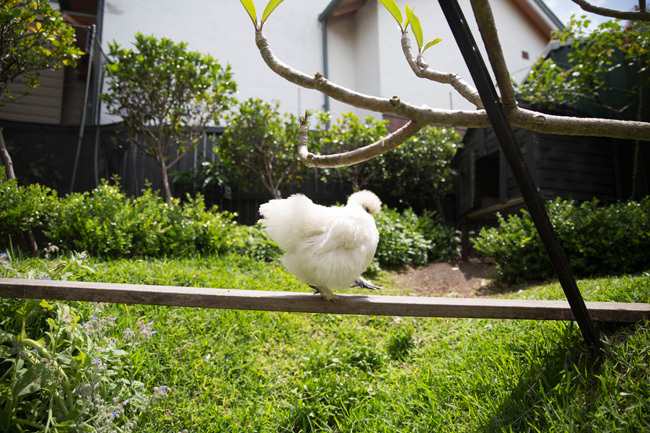 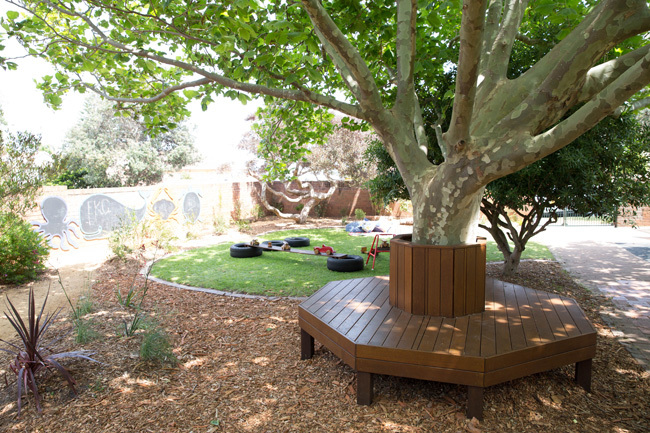 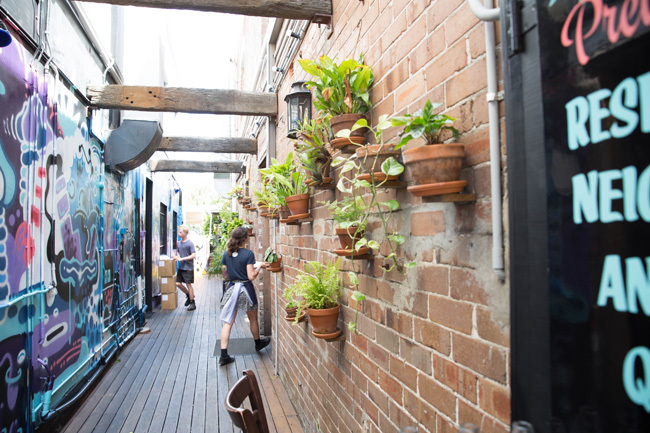 For over 15 years Bondi Beach PS schools vegetable garden has grown from strength to strength. 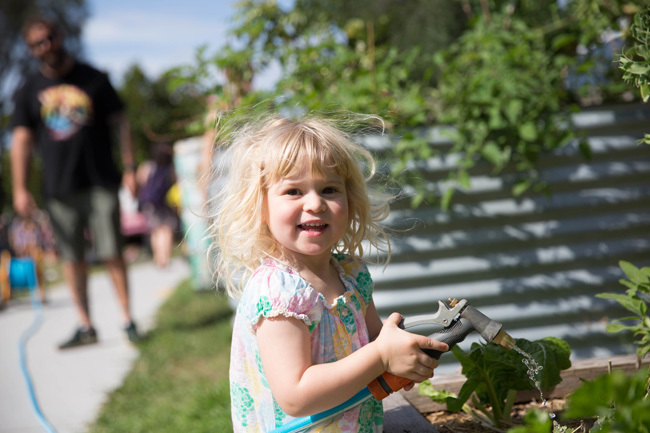 This much loved garden is a highly productive, well maintained, healthy, thriving vegetable garden with a comprehensive children’s education program covering composting, worm farms and plant identification for all who visit. 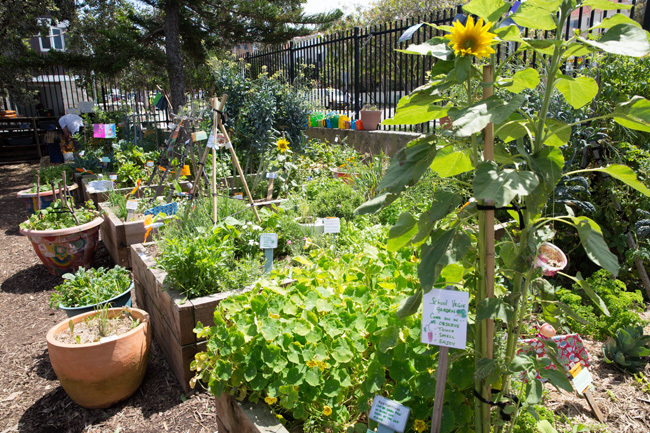 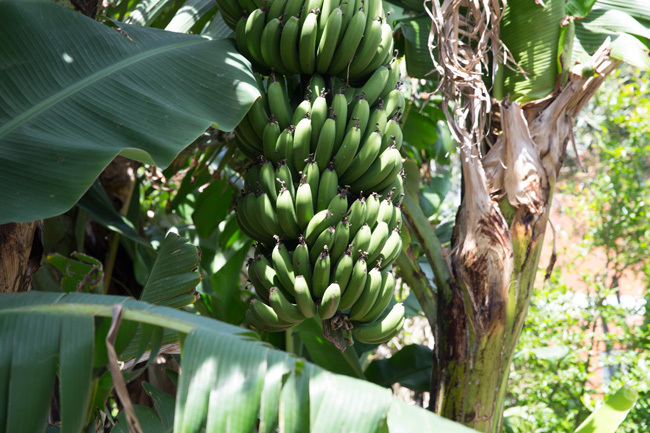 Using a “planting to plate” philosophy, much of the produce is used within the school canteen. 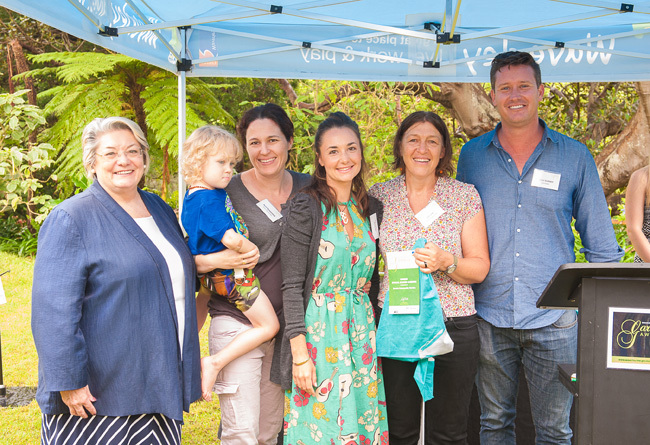 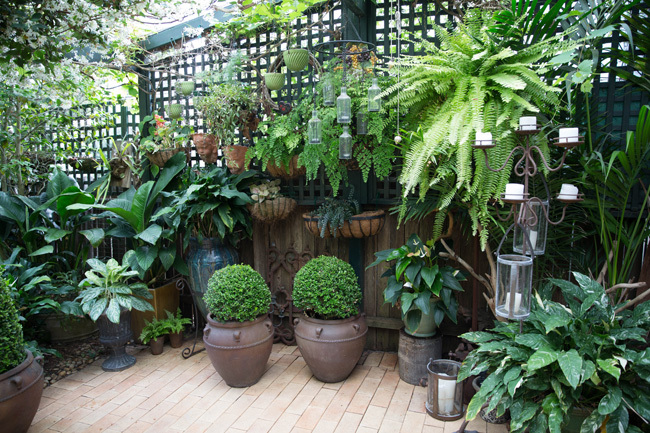 Awarded with GrowSpace and Bunnings vouchers, a Randwick Native Nursery Seed Pack and memberships to Graham Ross’ Garden Clinic. 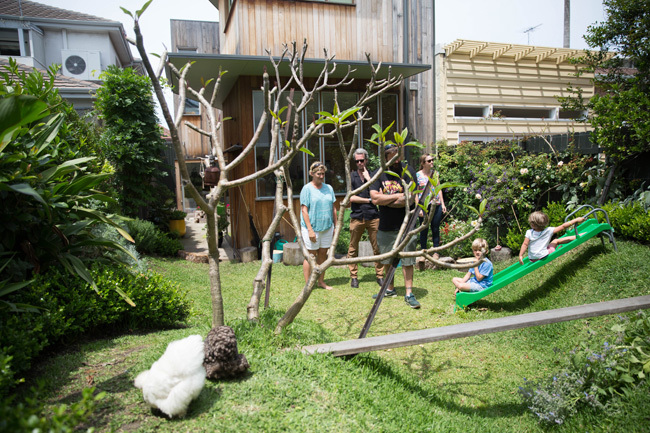 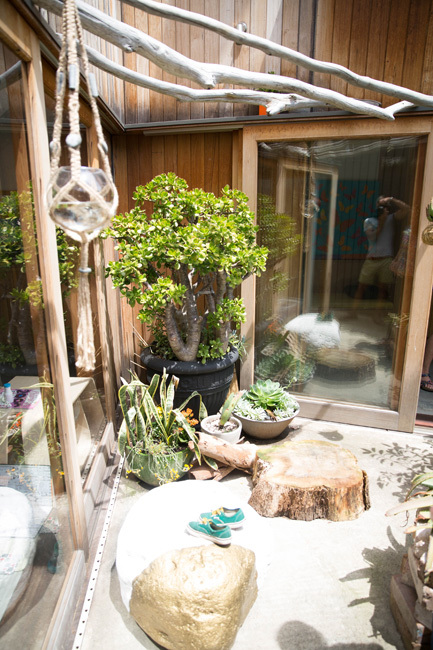 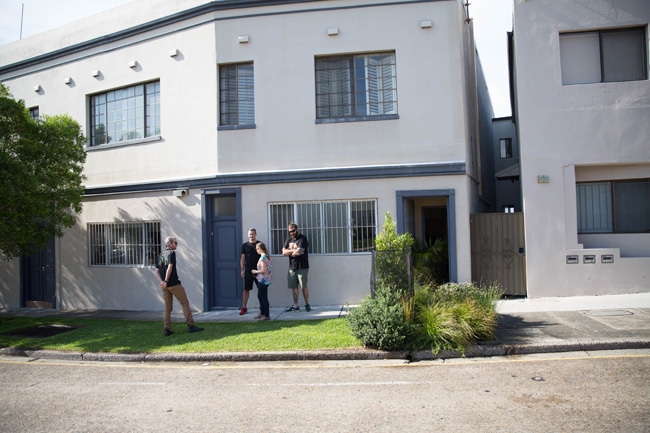 They received a GrowSpace and Bunnings voucher and Randwick Native Nursery Seed Pack. 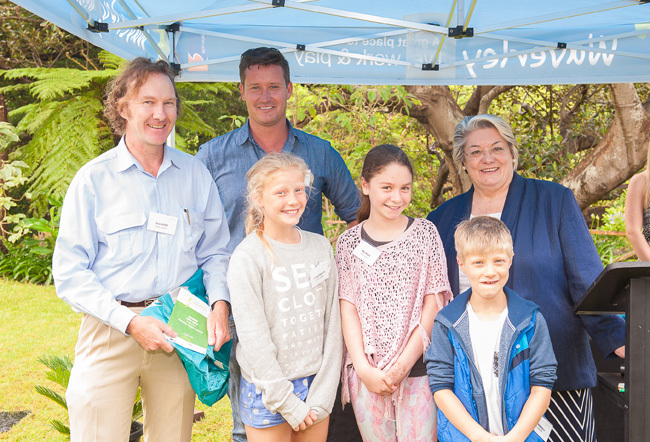 They received a Twigz Tool kit along with native plants and a voucher from Randwick Native Nursery. 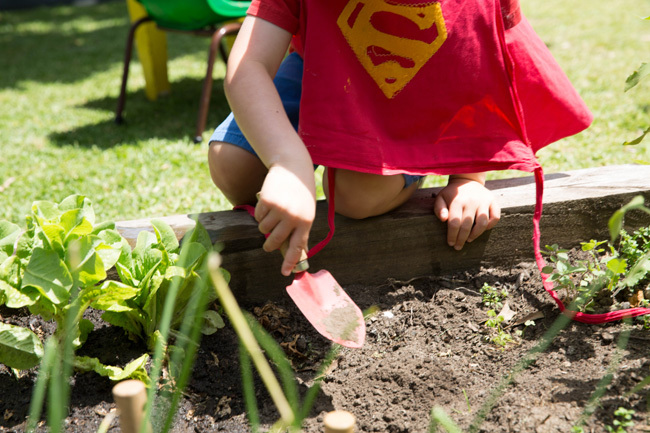 Honourable Mentions: Circles of Learning with Waverley Community Garden; and five-year-old Daniel Millner.